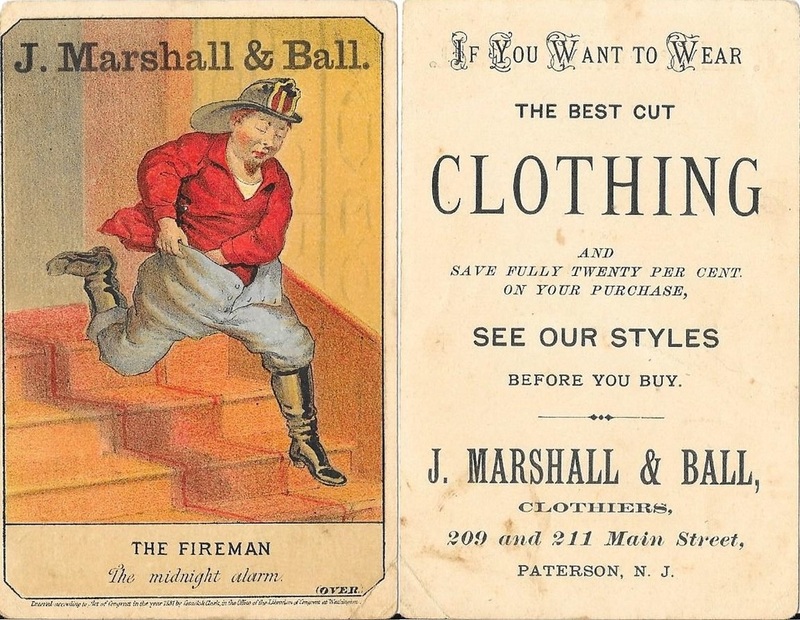 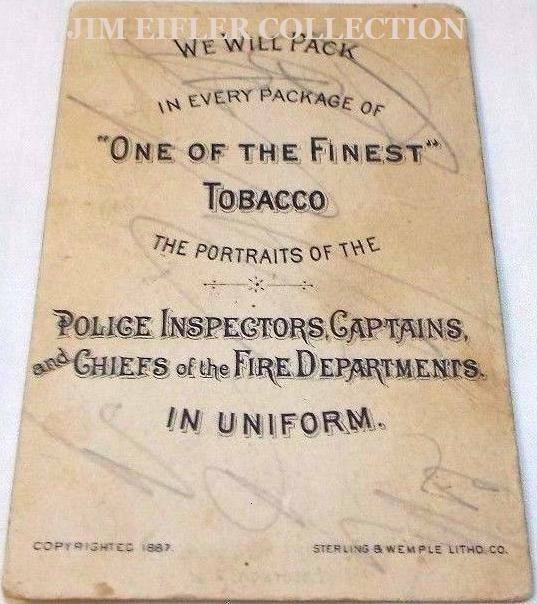 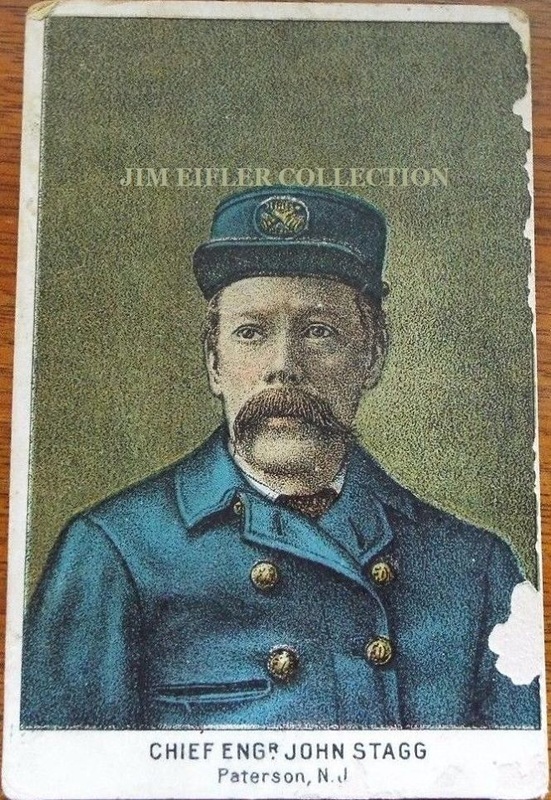 A 'baseball' type card full set was put out by BUCHNER GOLD COIN TOBACCO in 1887 featuring prominent Police and Fire department figures in the U.S. at the time. 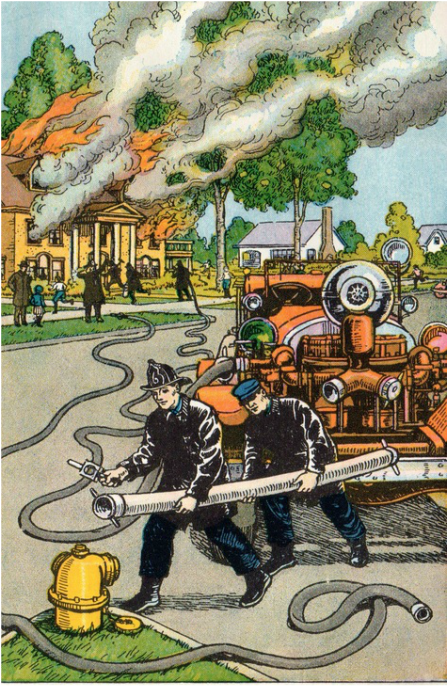 The card below features Chief Engineer John Stagg. 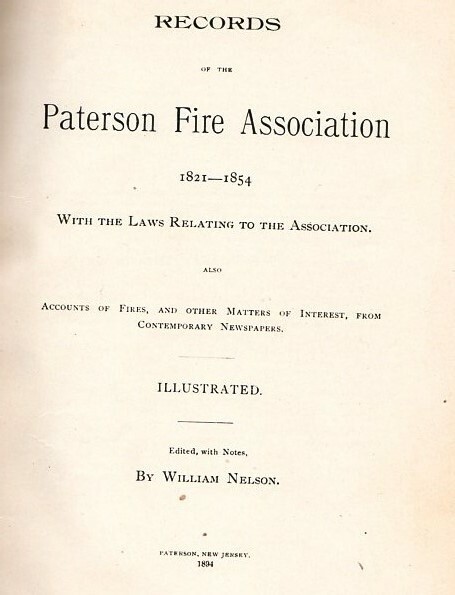 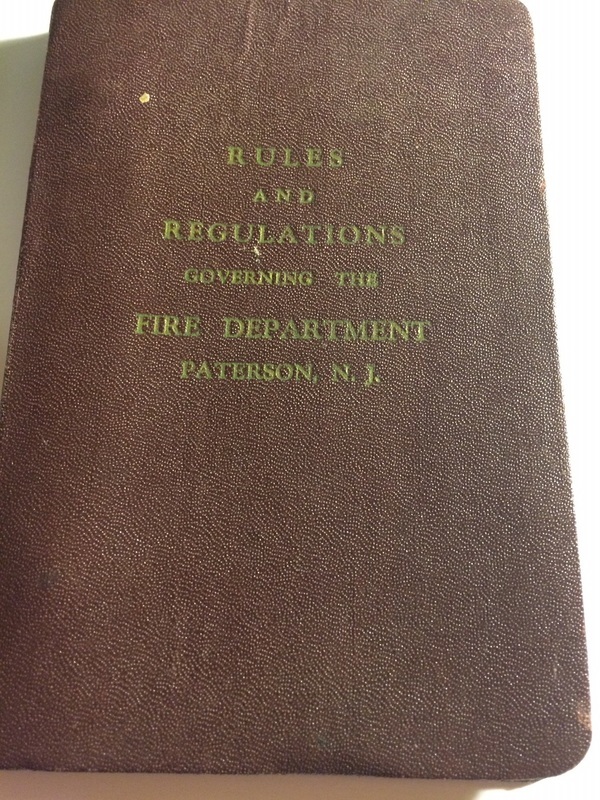 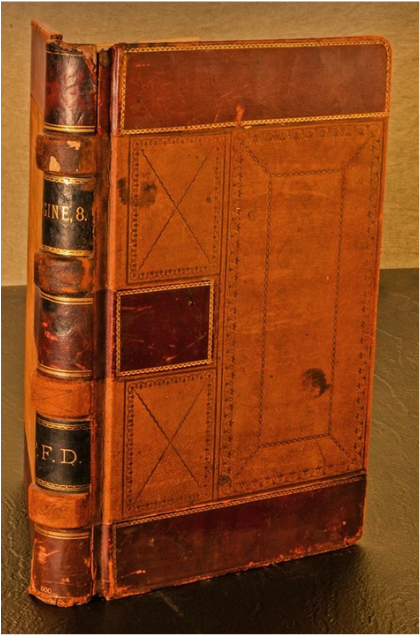 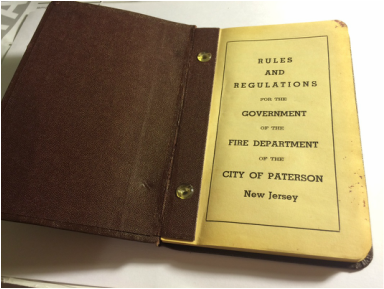 Chief Stagg's personal copy of The illustrated "Records of the Paterson Fire Association" 1821 -1854 published by William Nelson in 1894. 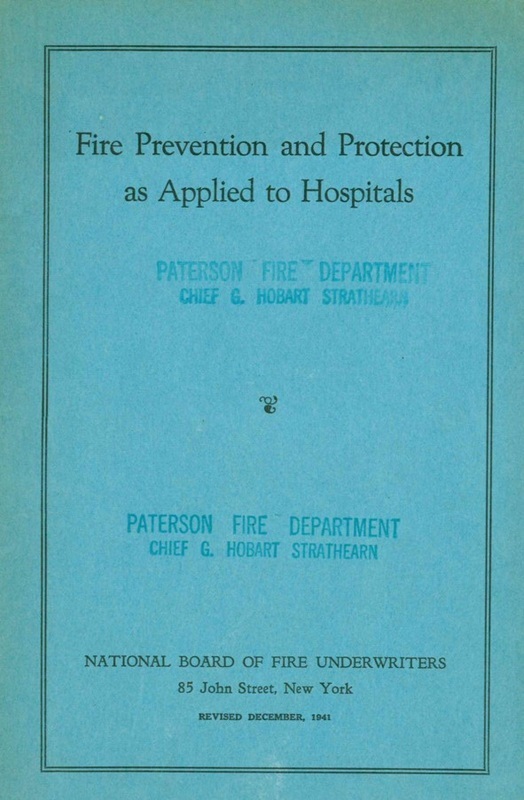 Only 100 copies printed. 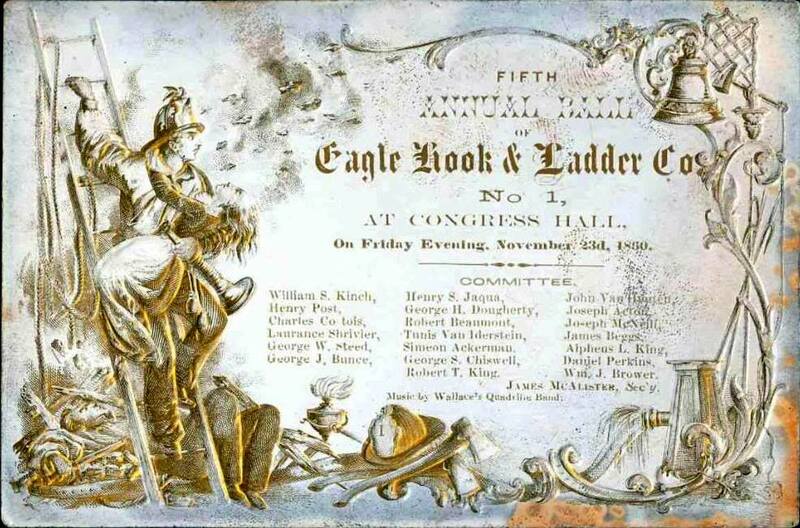 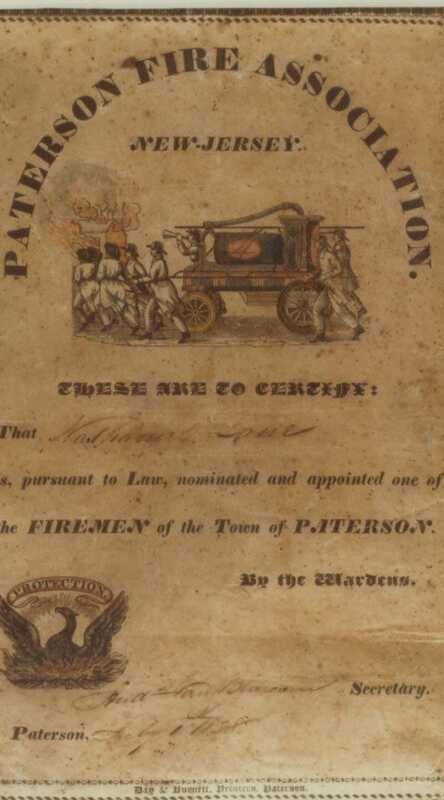 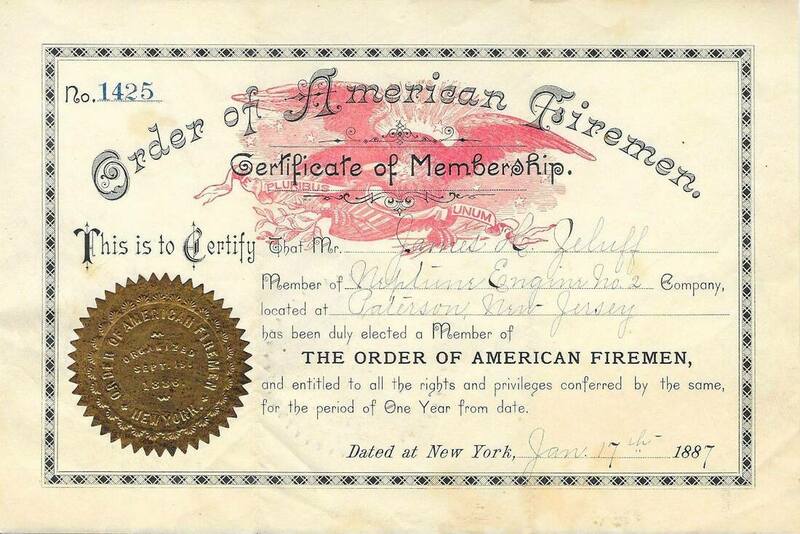 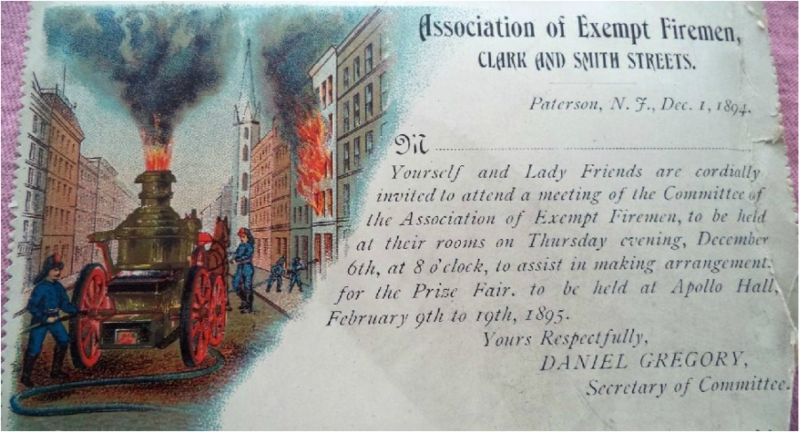 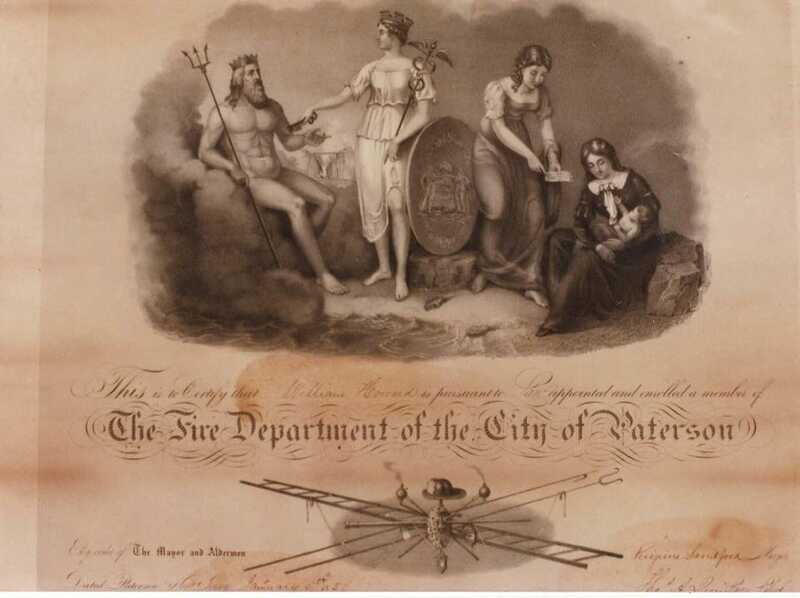 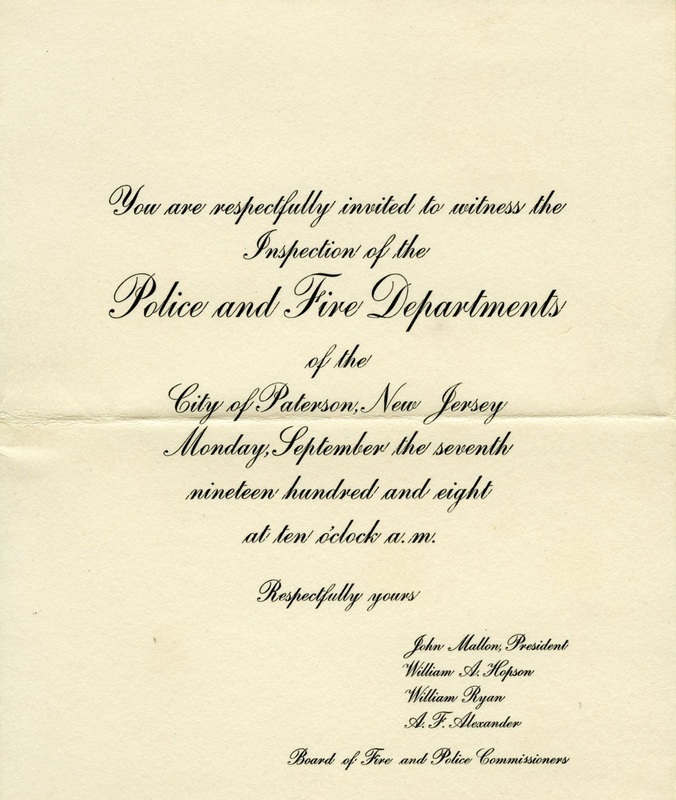 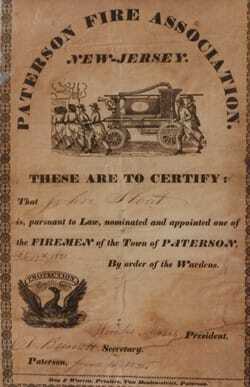 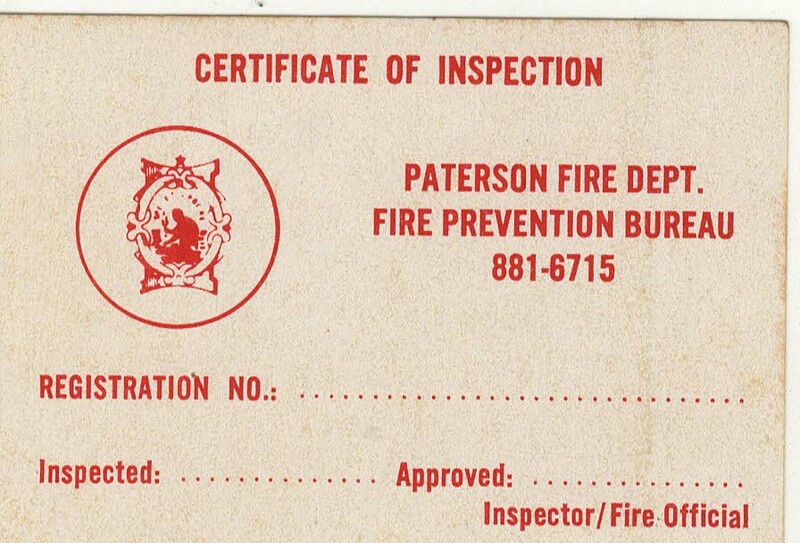 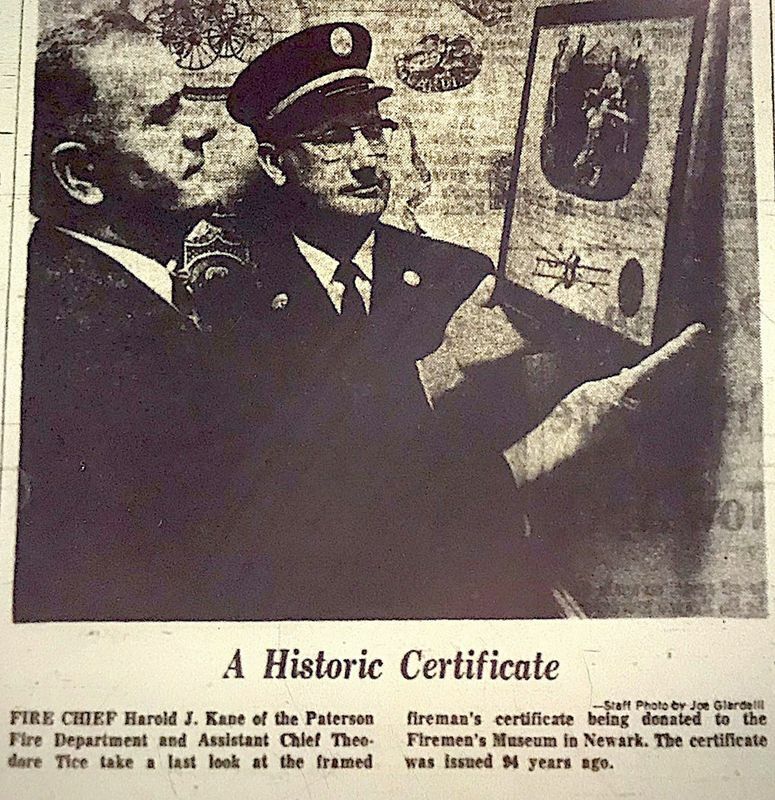 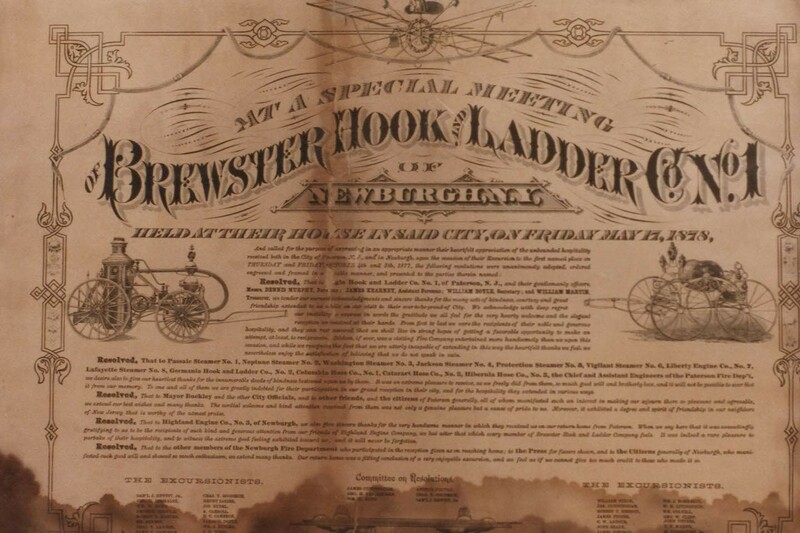 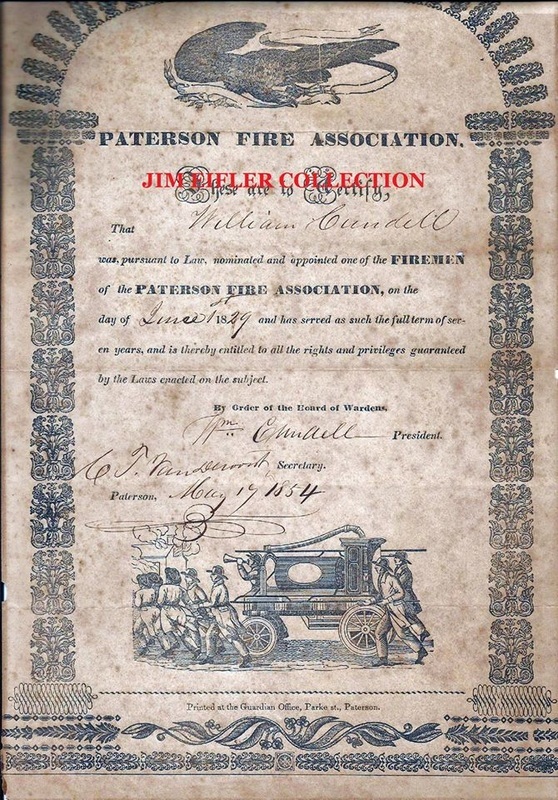 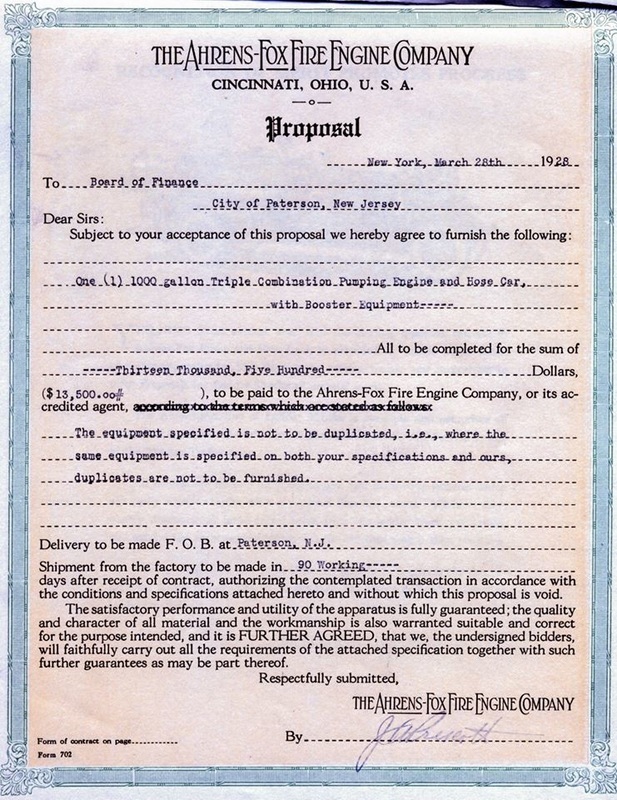 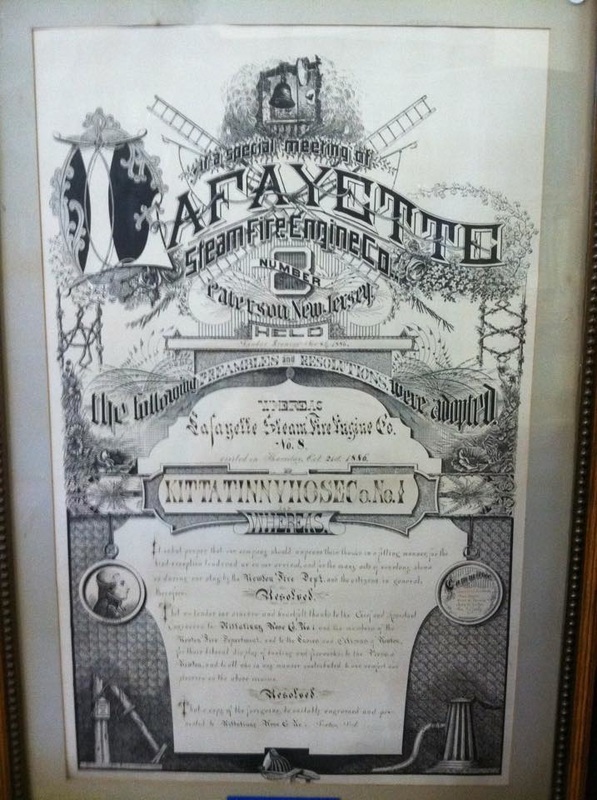 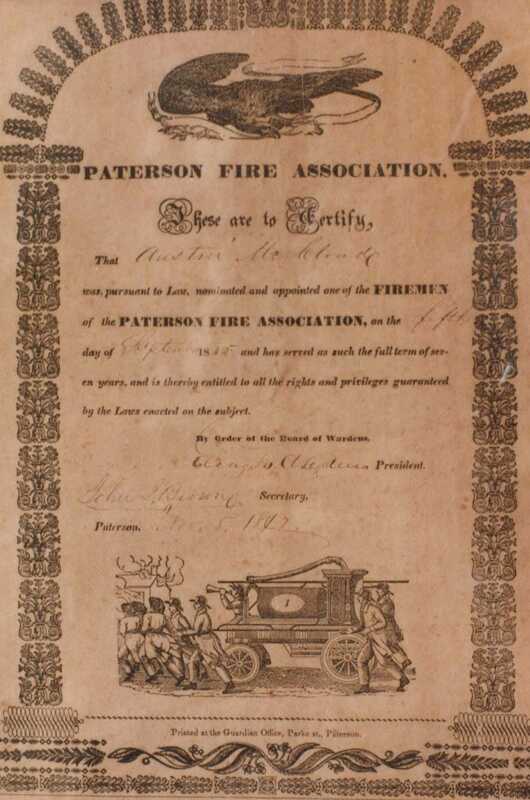 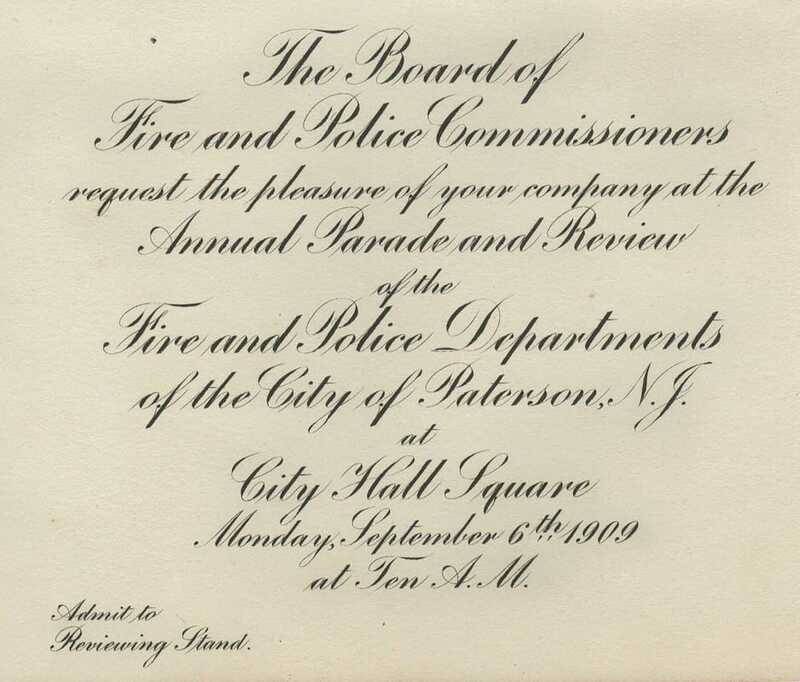 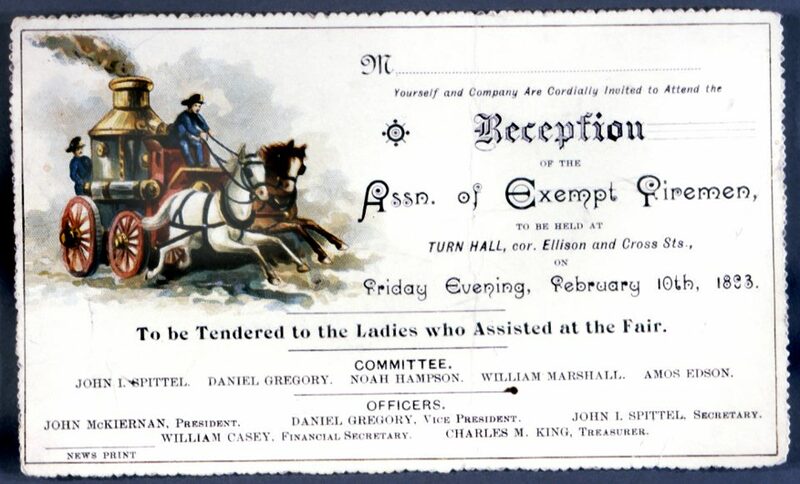 May 17, 1878: Presentation Certificate from Brewster Hook and Ladder 1 of Newburgh, New York to all companies (each Paterson company is listed) and Chief and Assistant Engineers of the Paterson NJ Fire Department in appreciation for the hospitality shown by PFD to the Newburgh Companies on their 1877 excursion to Paterson. 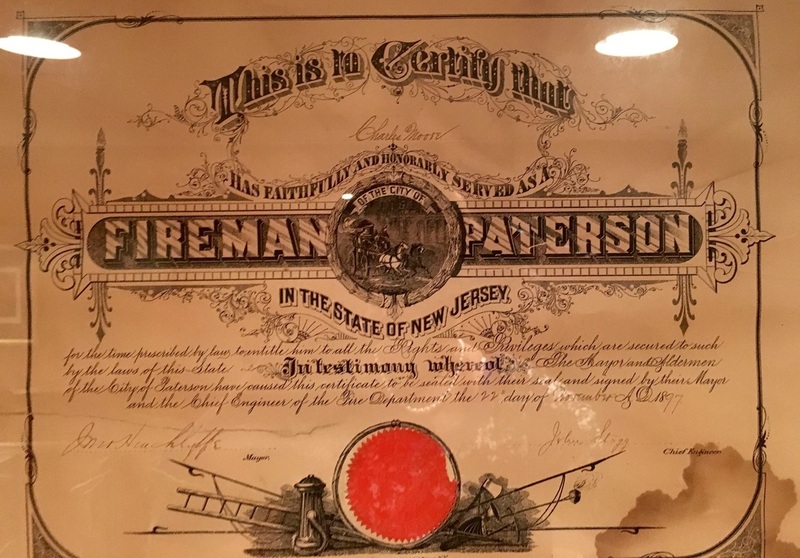 Special thanks offered to Foreman Dennis Murphy, Assitant Foreman James Kearney, Sceretary William Boyle and Treasurer William Martin of Paterson's Eagle Hook and Ladder 1. 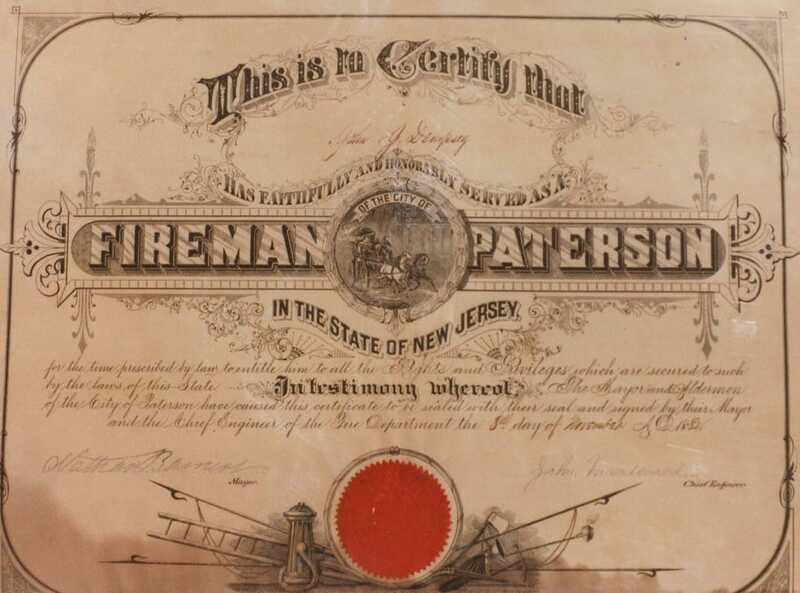 The Officers and Members and extra Men of the Paterson Fire Department beg to extend to their retiring Deputy Chief Patrick Sweeney GREETING - Regretting that he is about to leave us, we beg to extend to him our appreciation of his courtesy and kindness and just treatment of the men of the department. 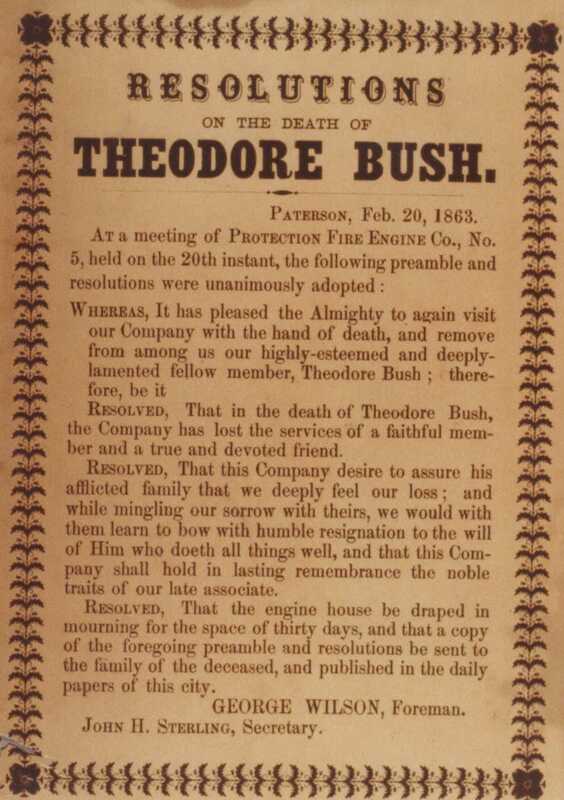 He joined the volunteer department October 15, 1860. 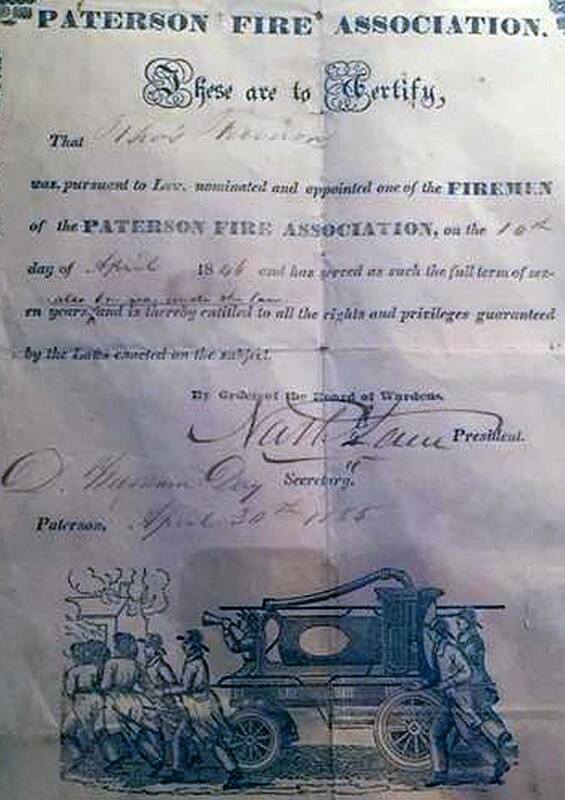 He was made chief of the volunteers May 10, 1869. 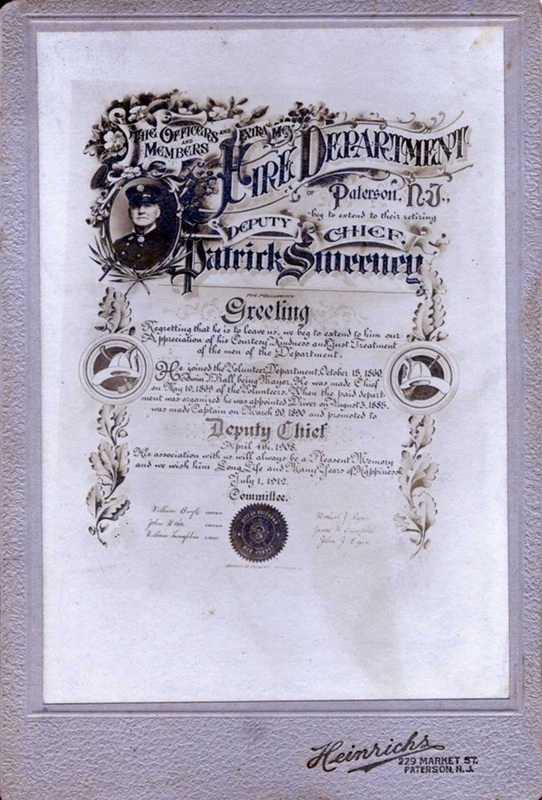 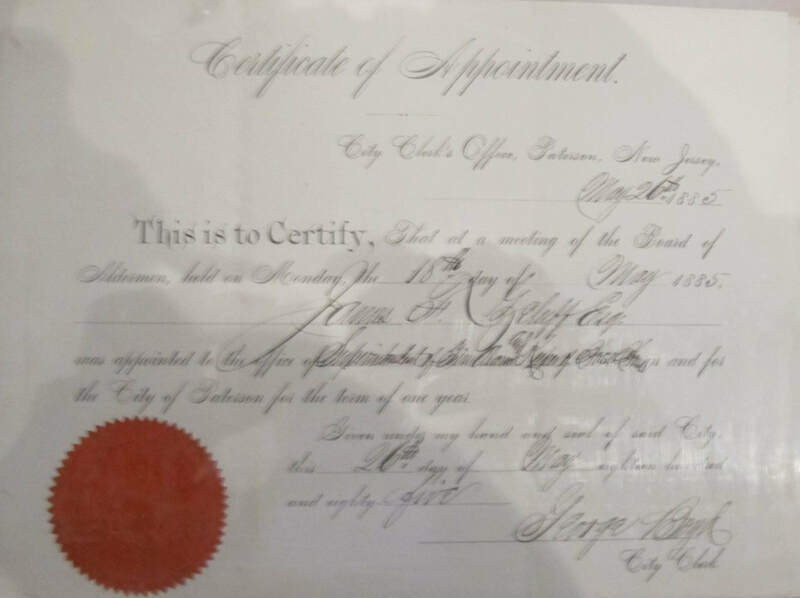 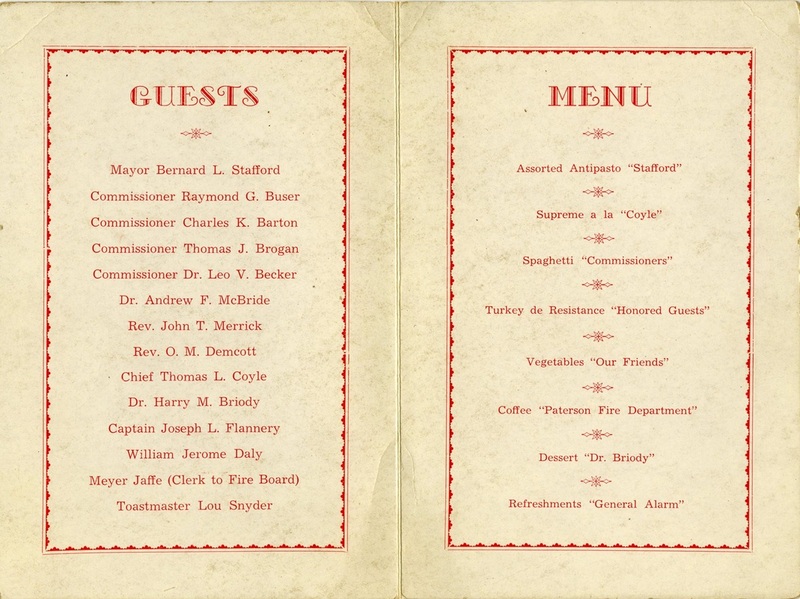 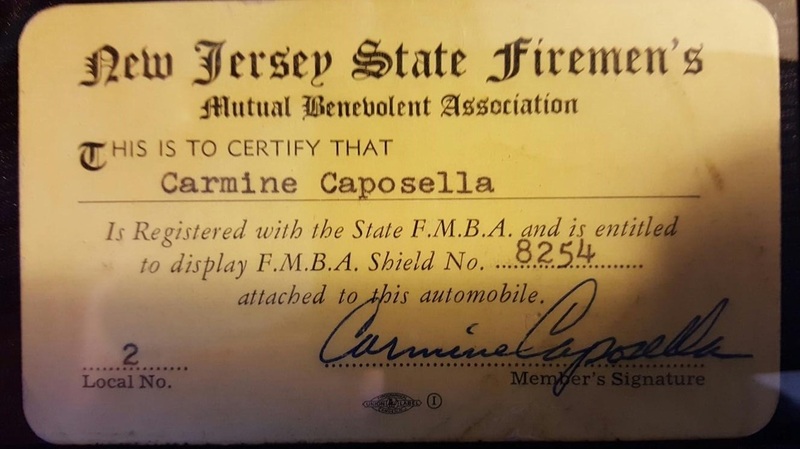 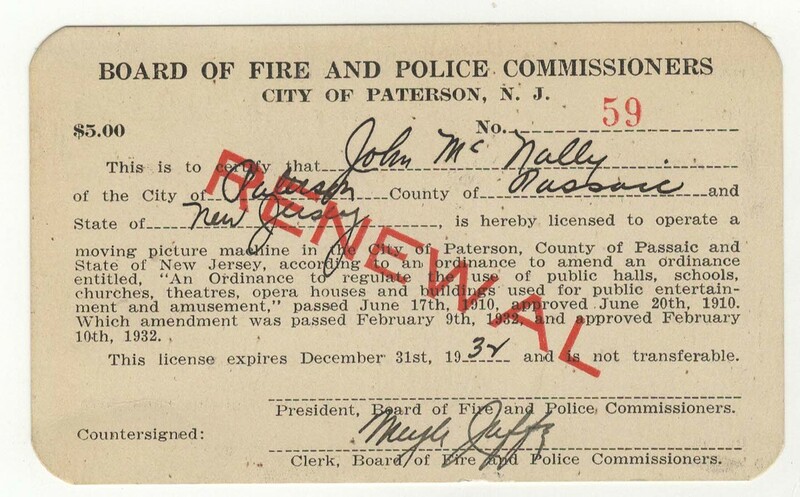 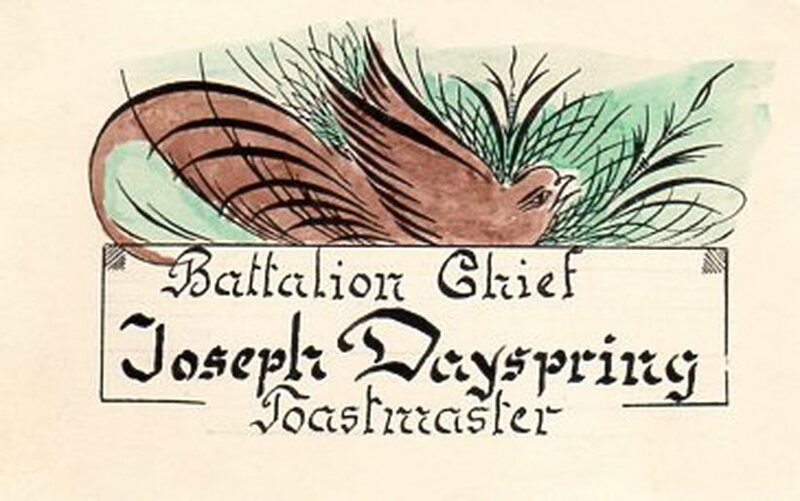 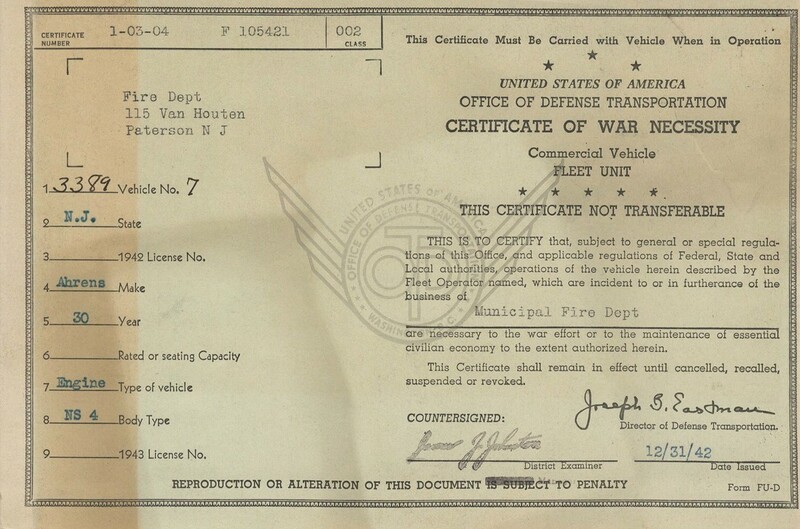 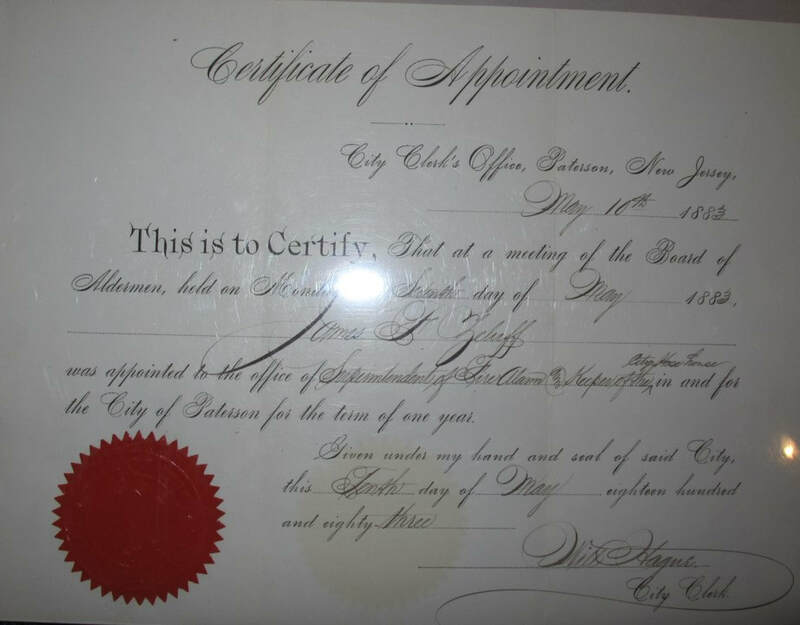 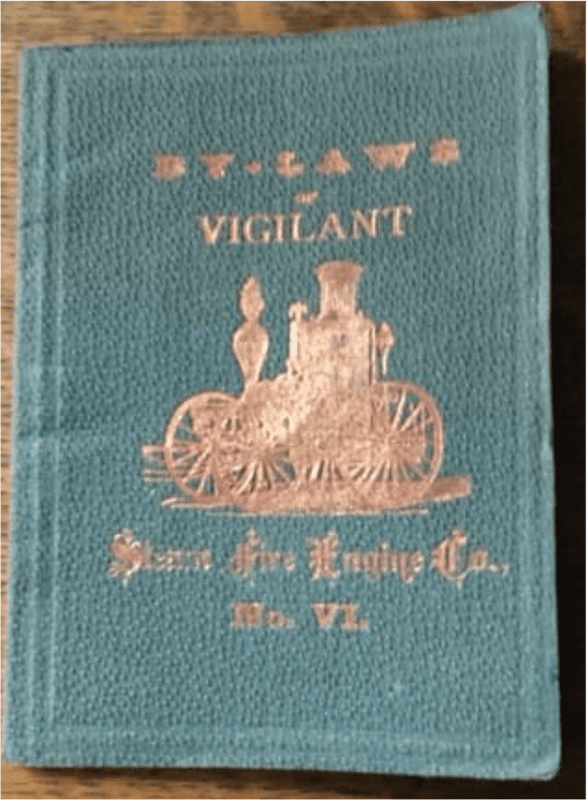 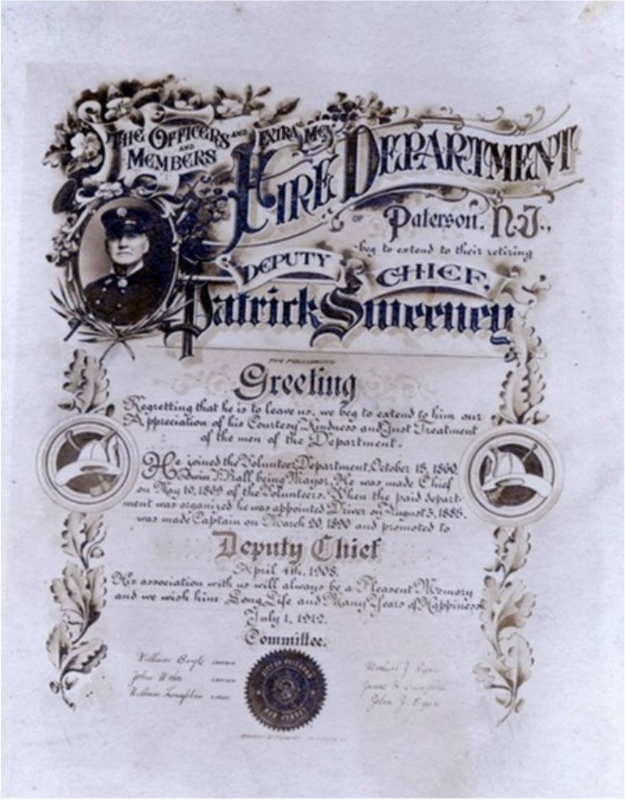 When the paid department was organized he was appointed driver on August 5, 1885, was made Captain March 20, 1890 and Deputy Chief on April 4, 1908. 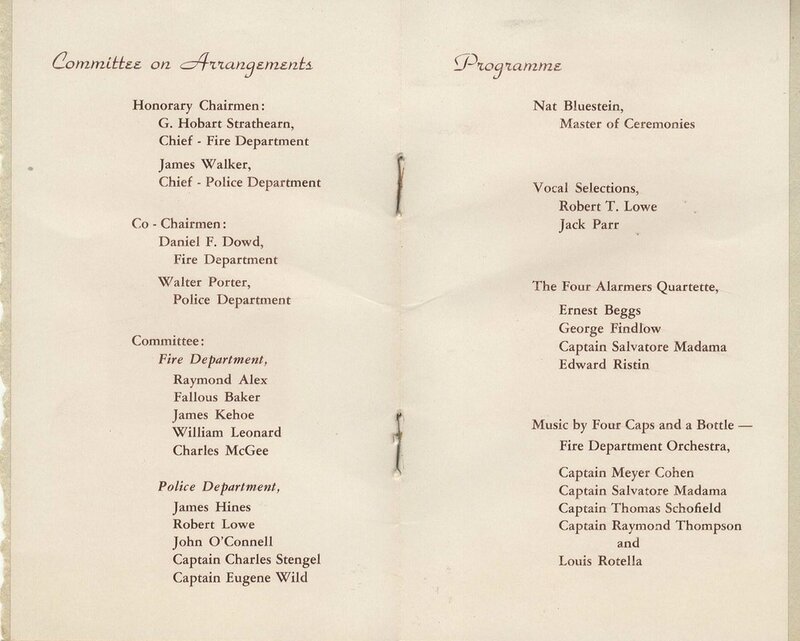 His associations with us will always be pleasant memory and we wish him song, life and happiness --- Signed by 6 members of the committee. 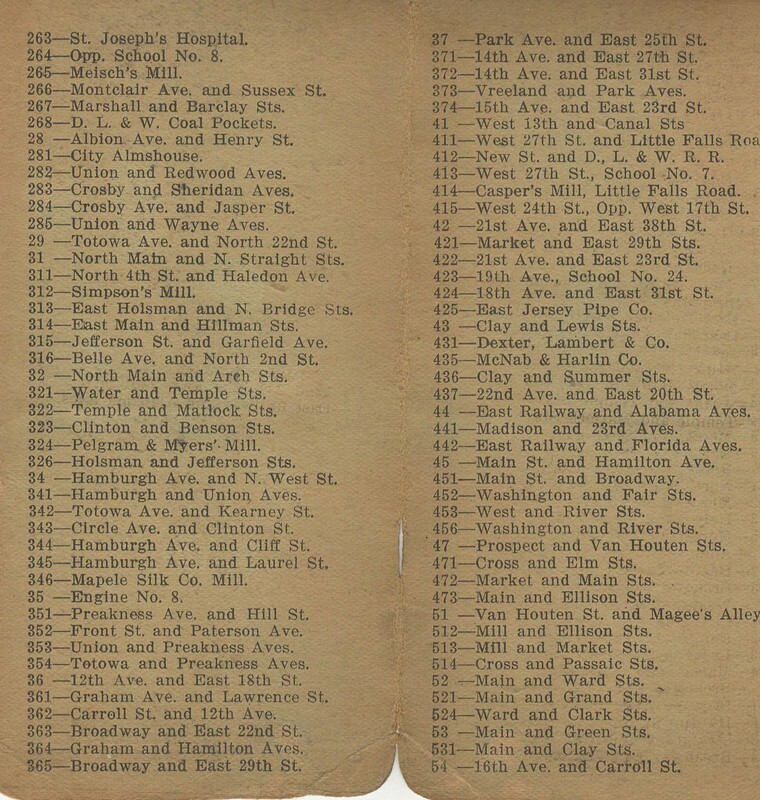 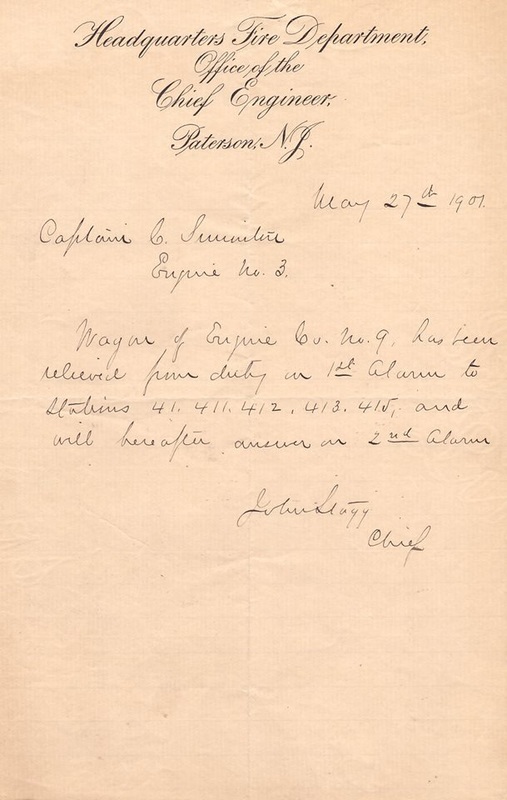 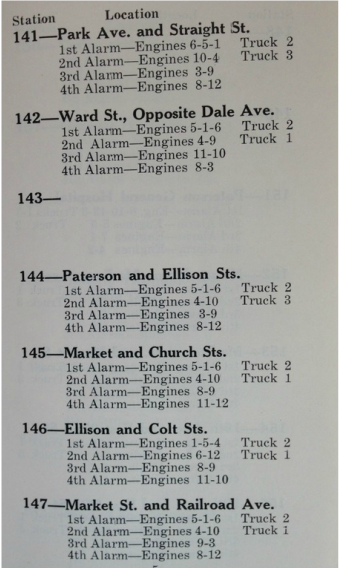 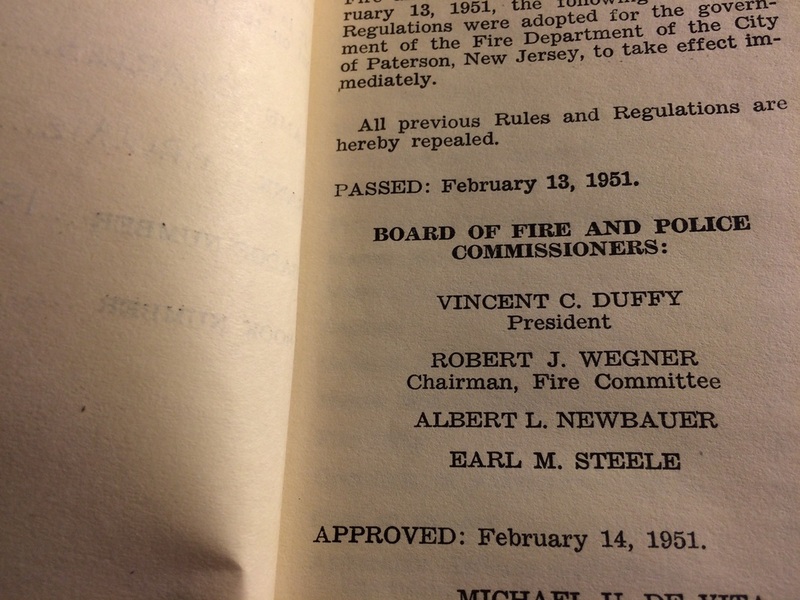 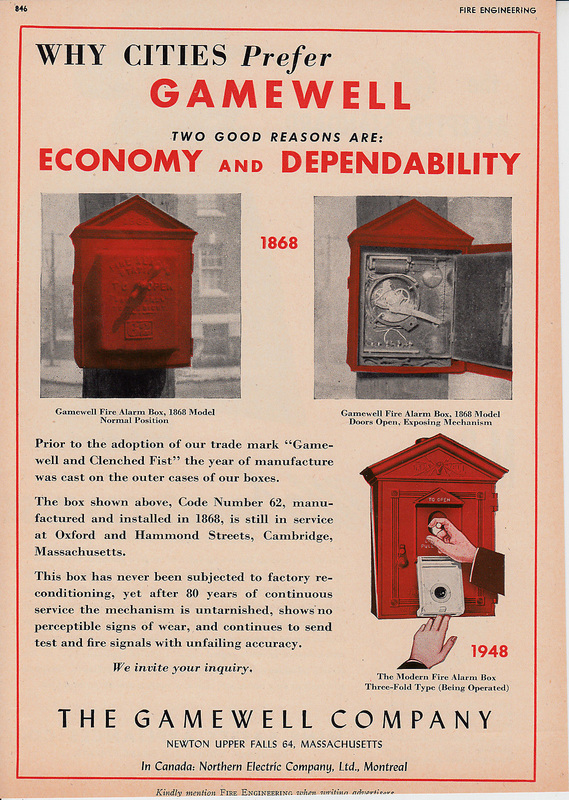 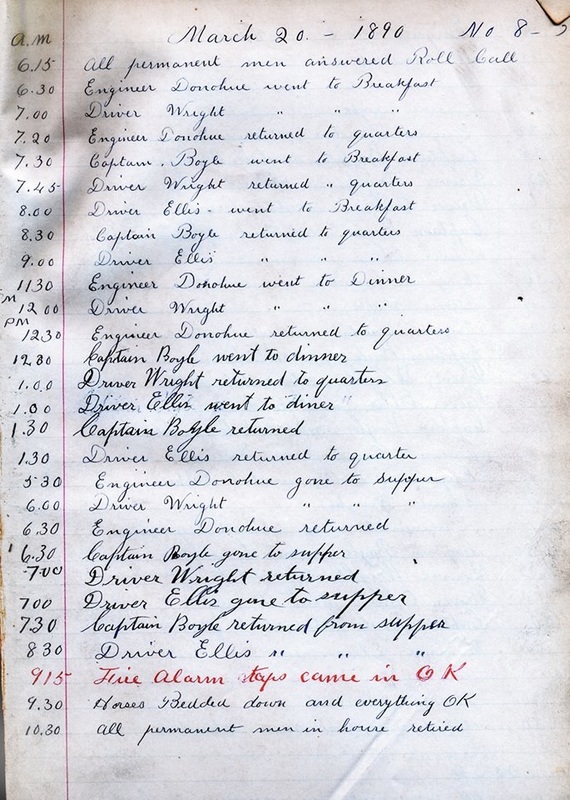 Below is a March 20, 1890 Journal and page from Engine Company 8 on Wayne Avenue - the first day of the new partially paid department. 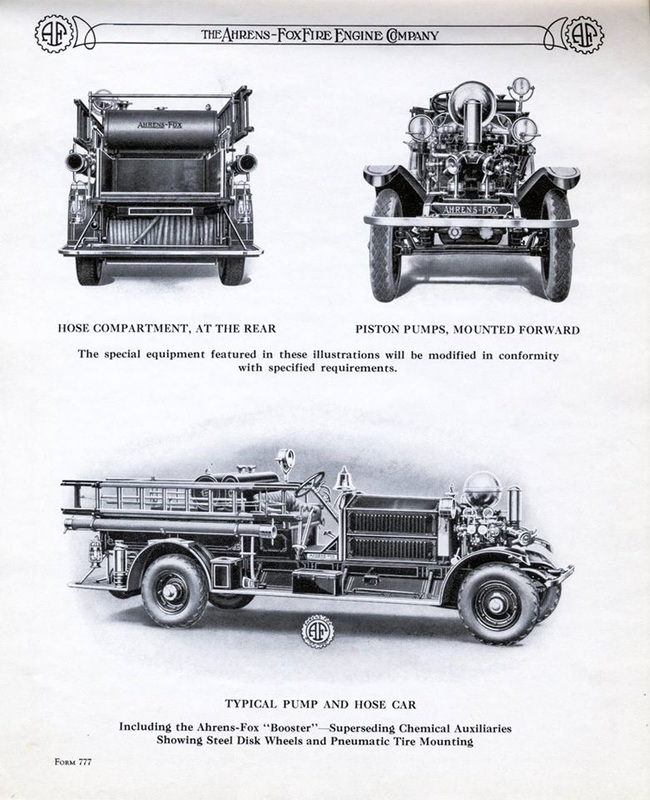 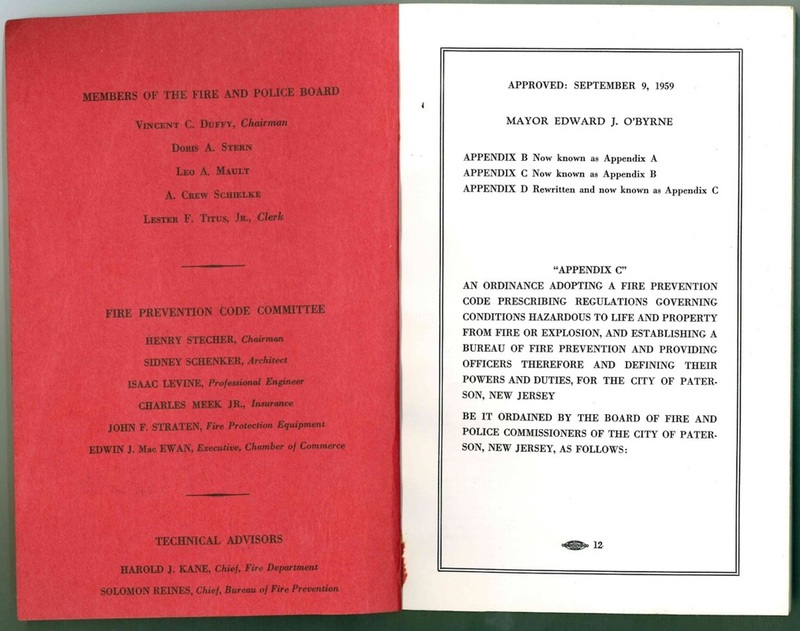 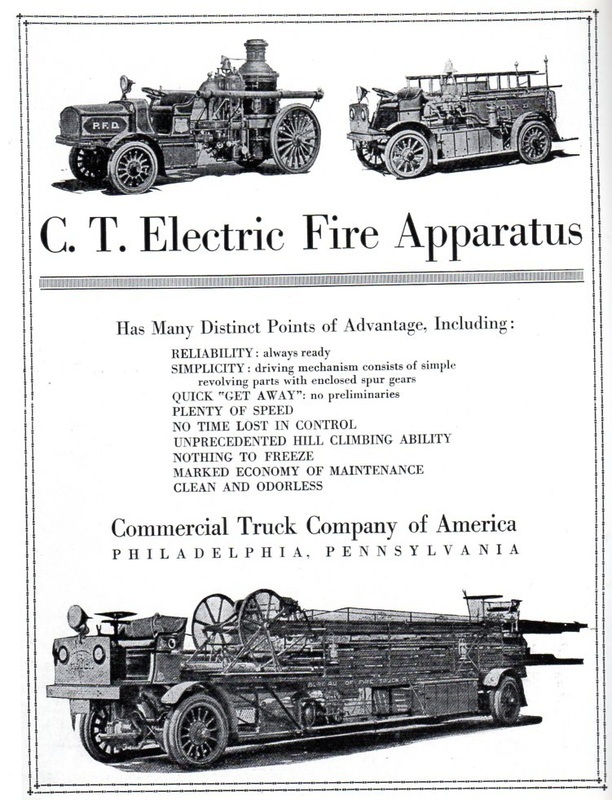 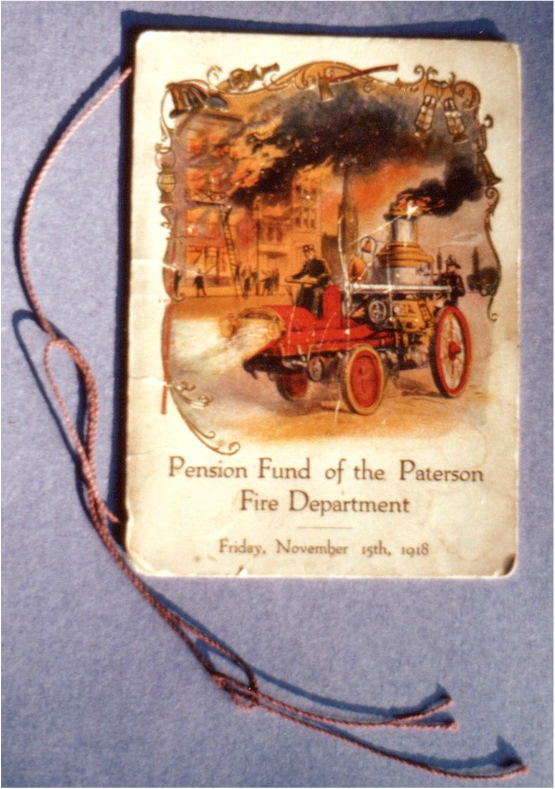 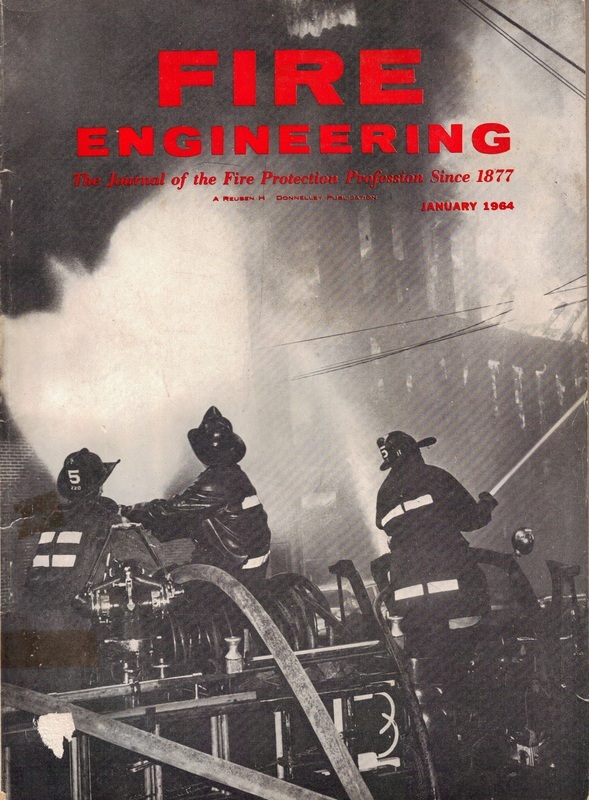 Written a bout the Paterson Fire Department - profusely illustrated with apparatus and firehouse graphics. 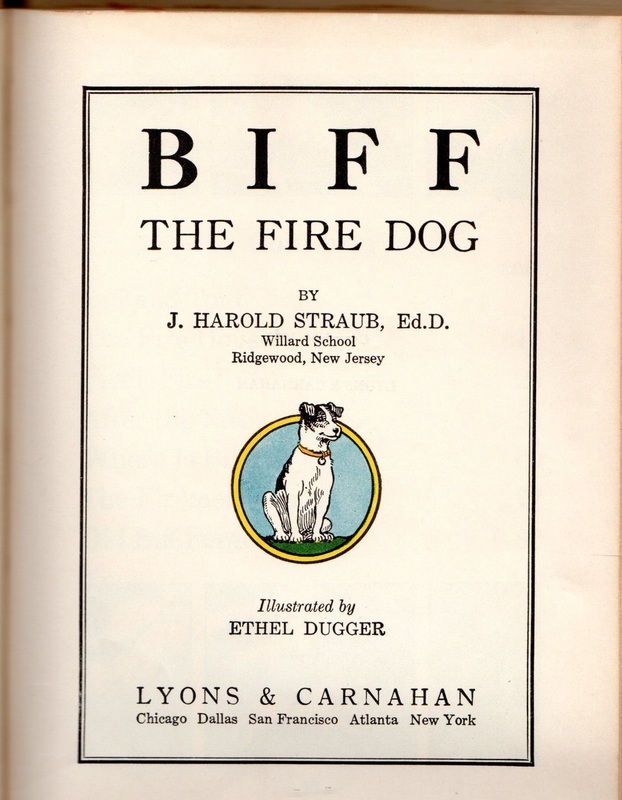 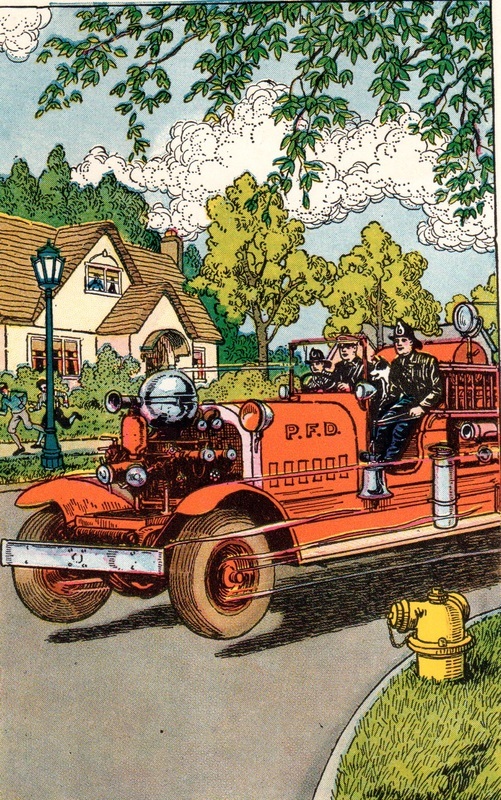 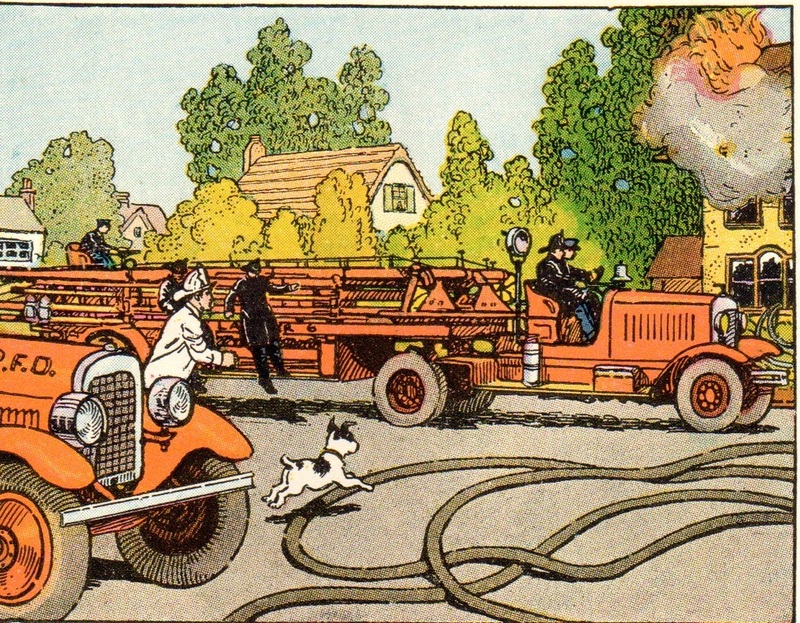 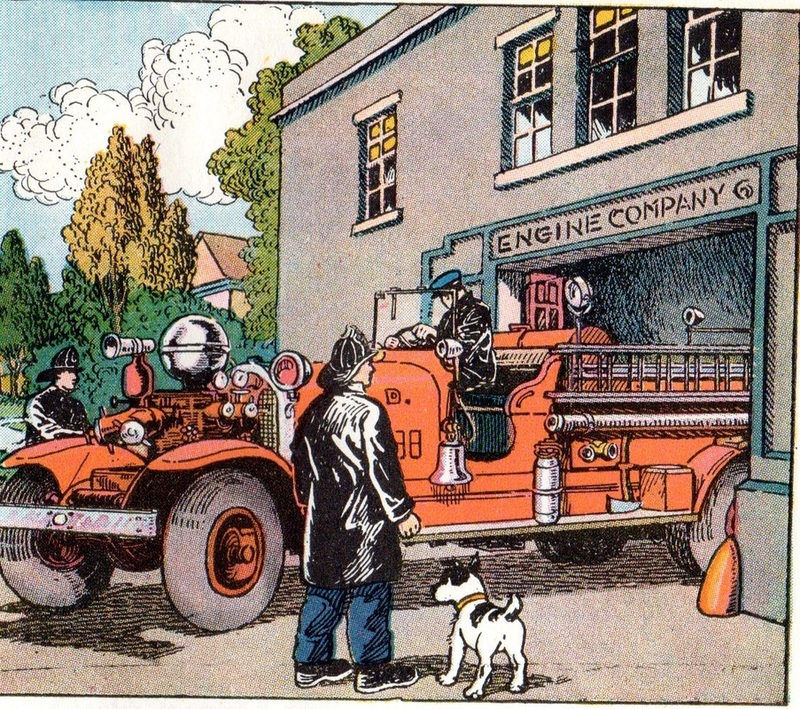 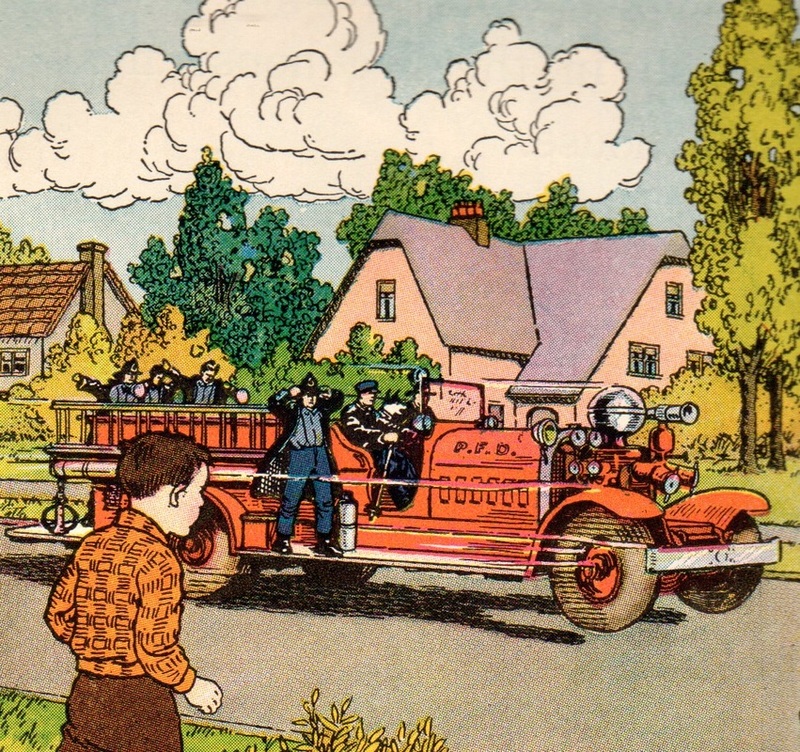 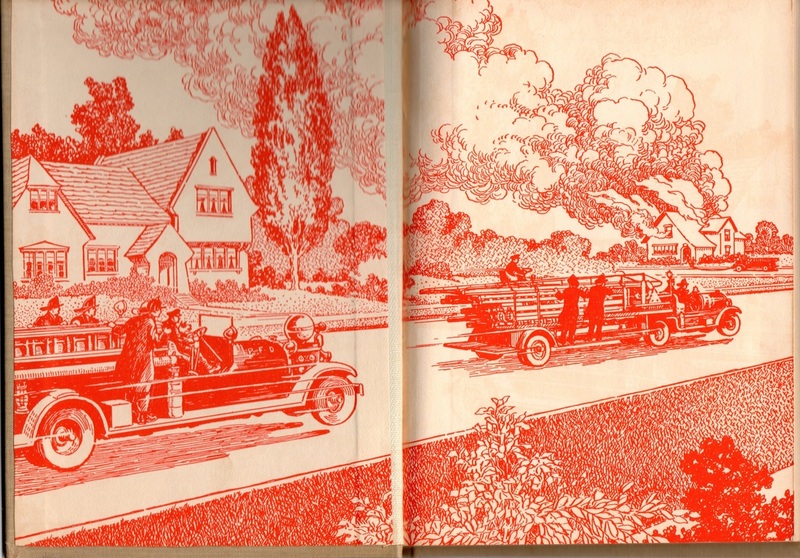 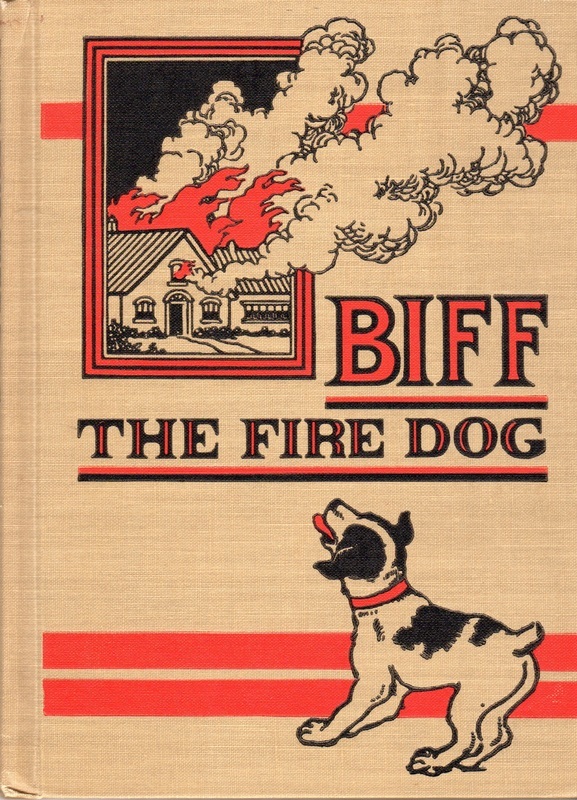 Story of a young boy, Captain Peters and Fireman Joe. 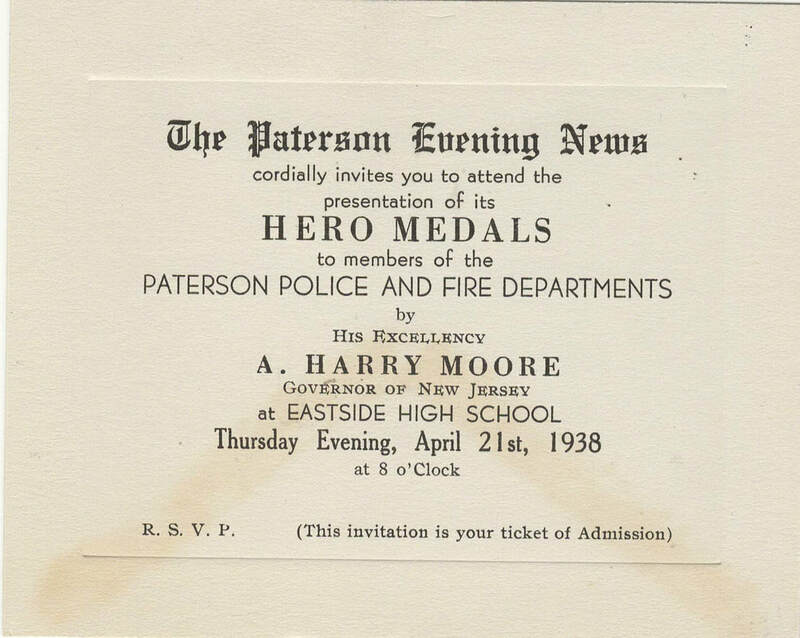 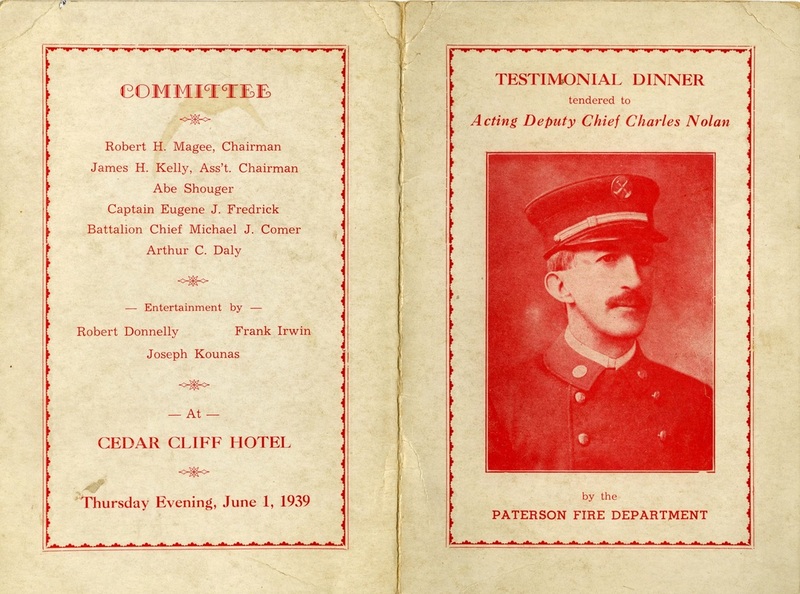 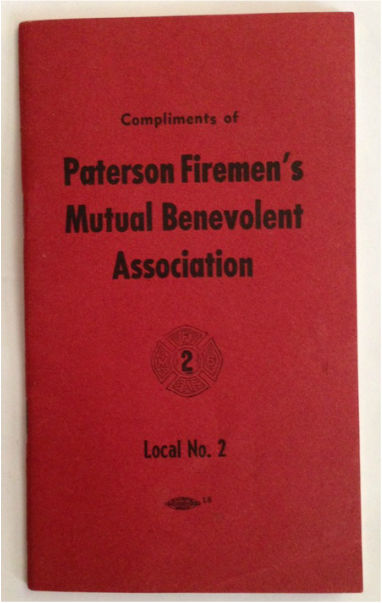 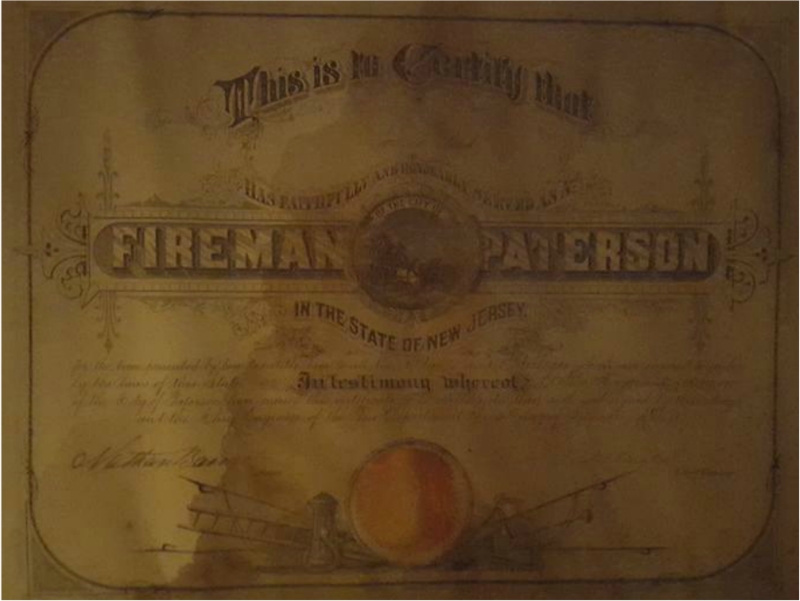 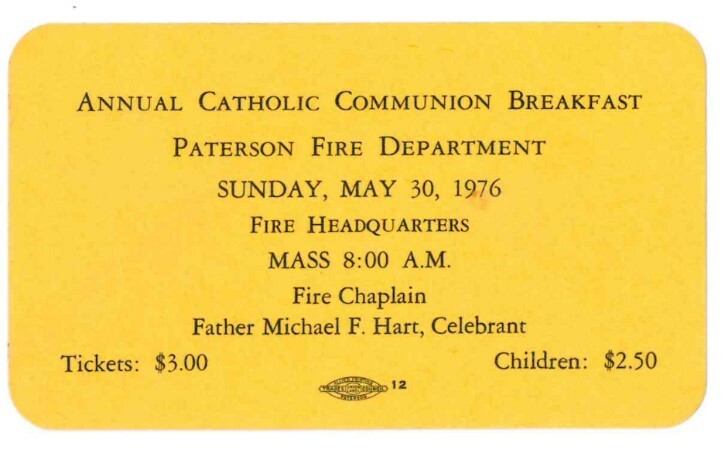 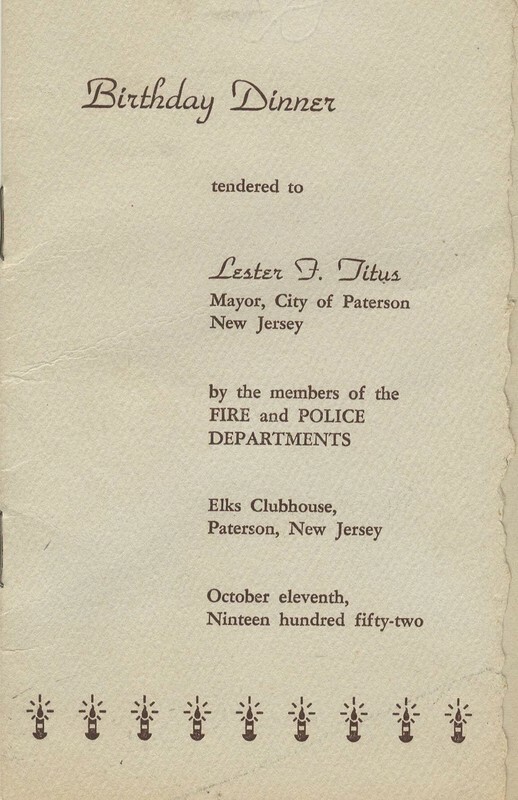 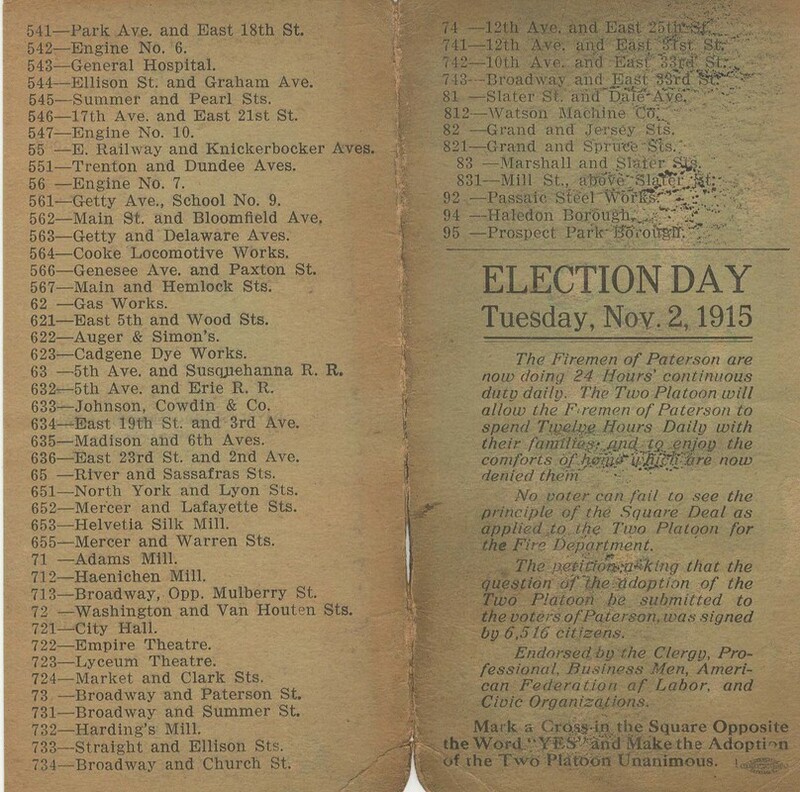 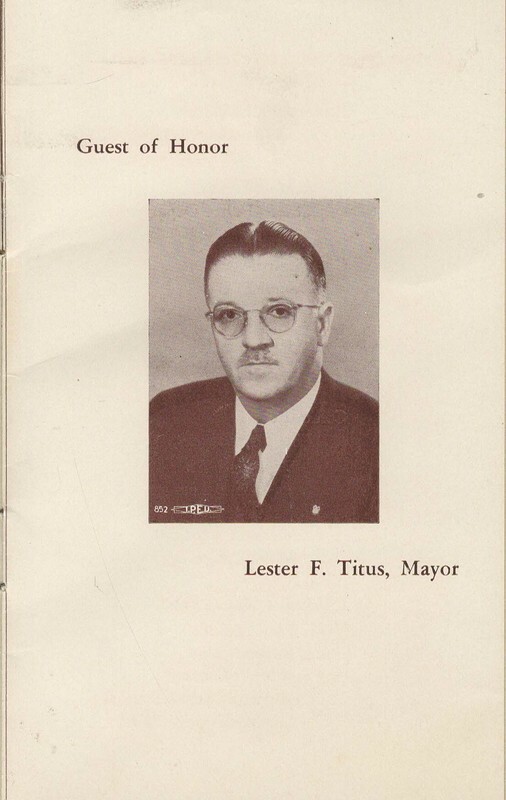 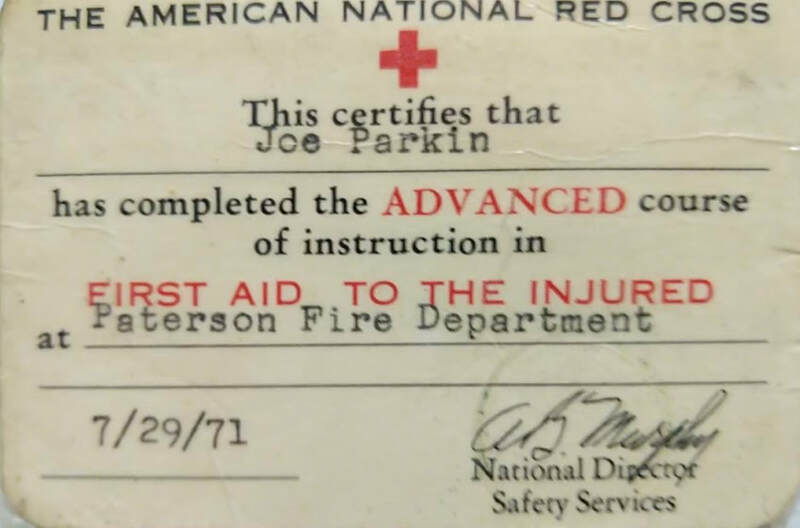 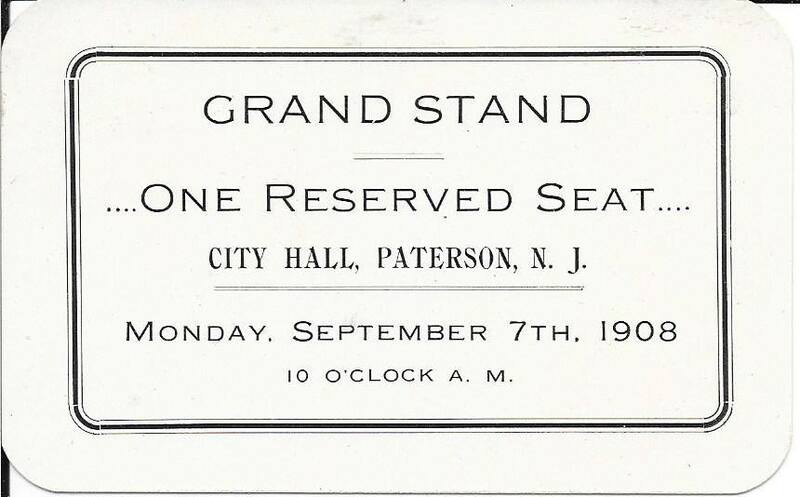 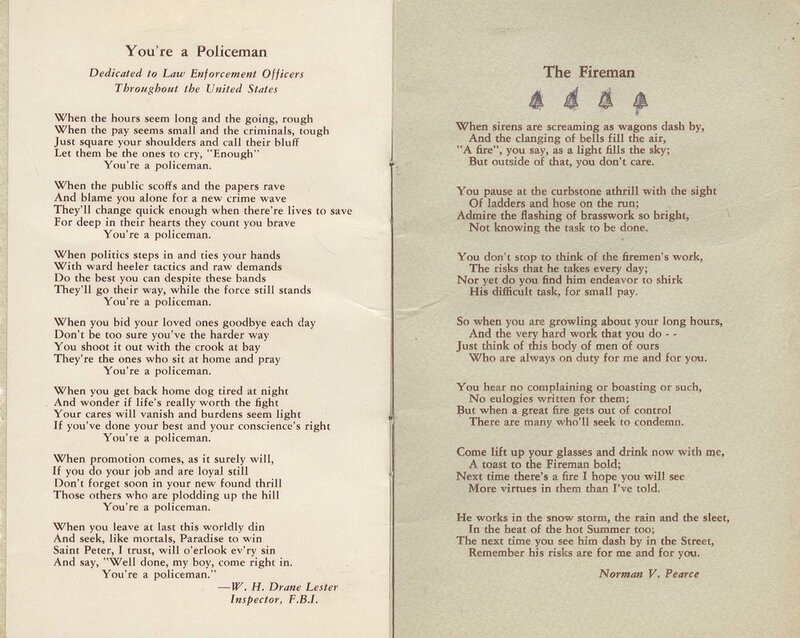 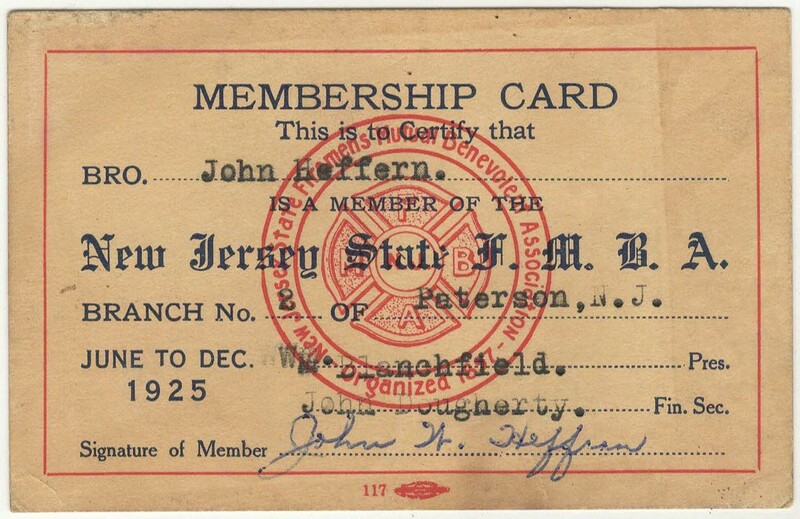 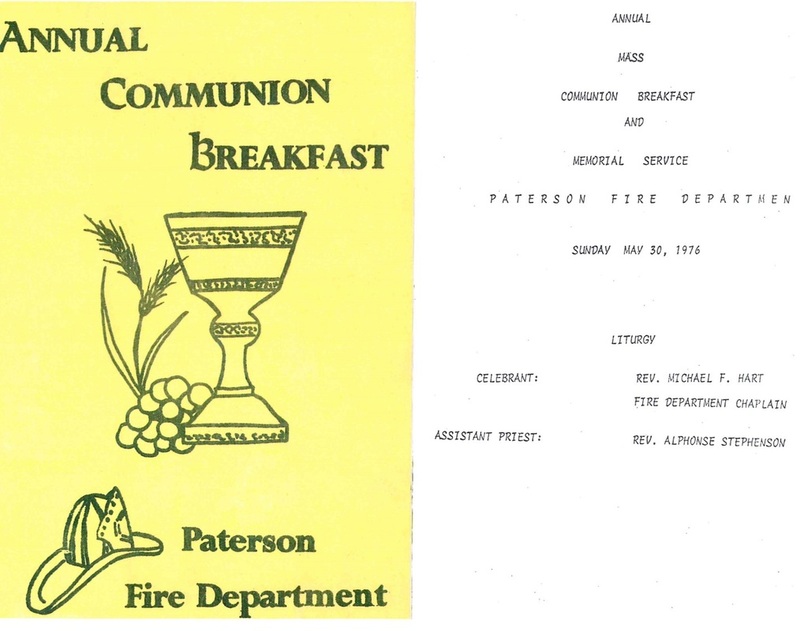 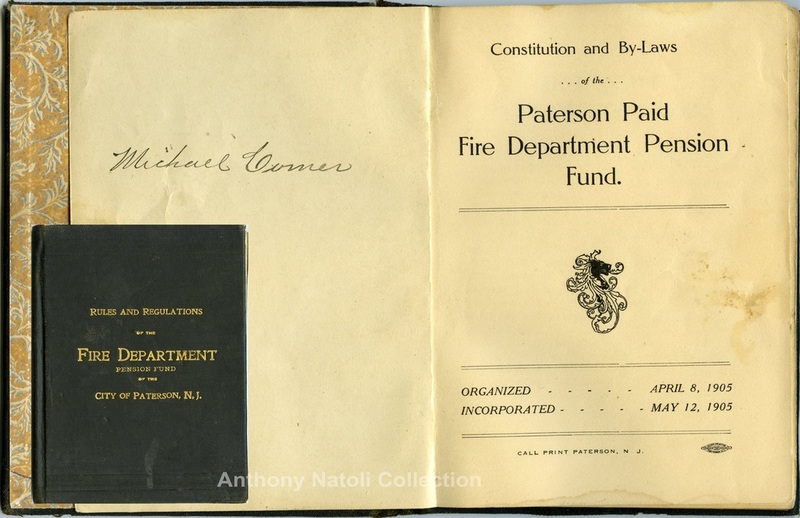 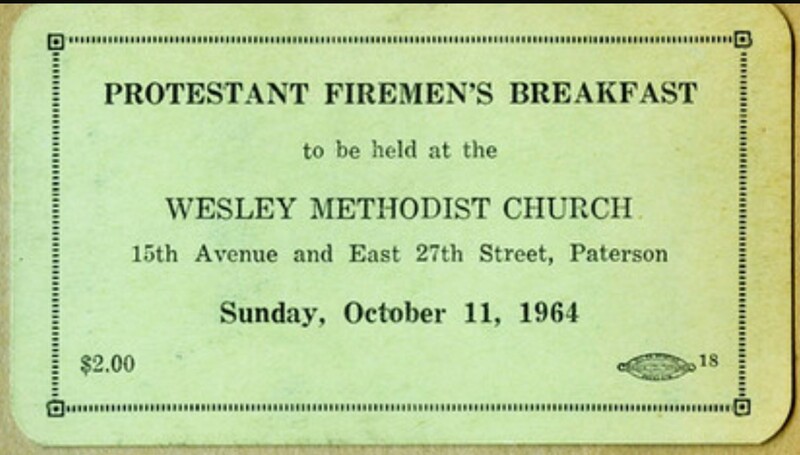 Gus Peters was a Paterson Fireman at the time.